Spaced Out Magazine releases it's latest issue with it's new name. No longer Spaced Out, SOM Magazine is the source for entertainment and business news. 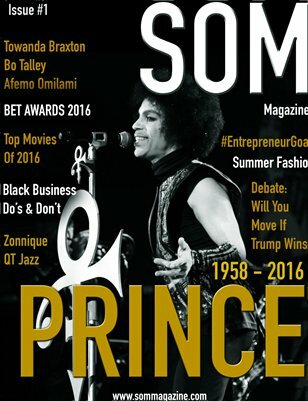 This issue covers a photo tribute to the late Prince along with details on his upcoming tribute at the BET Awards 2016. Filled with the top movies of 2016, business information and help, some great interviews, and more!